Book your accommodation early for the 2012 Finn Gold Cup. Links are on the event website at www.falmouthfinnfestival.com. August 2011: Past IFA President Vernon Stratton passed away on August 20. Among many acheivements, he was instrumental in making the Finn class what it is today. He will be missed by many and our thoughts are with his family. More here. Ben Ainslie convincingly won the Olympic Test Event at Weymouth, with Jonathan Lobert picking up the silver and Pieter Jan Postma the bronze. July 2011: Arkadiy Kistanov won the Finn Silver Cup in Moscow. Follow the Europeans in Helsinki on the blog on the event website with regular updates and the Twitter feed. July 2011 - AGM Agenda and papers are published. Please read before the meeting on Thursday 7th July in Helsinki so the meeting can flow as smoothly as possible. The AGM will be at 6pm at the VIP tent at the regatta venue. Europeans starts in Helsinki on Saturday 9th. June 2011 - Ed Wright won the SWC events in Medemblik and Kiel but Ben Ainslie won the Sail for Gold Regatta in Weymouth. Ainslie won the 2011 SWC from Wright and Giles Scott. Michael Maier won his third World Masters in Punta Ala out of a fleet of 284 boats - the largest ever Finn fleet. May 2011 - At the ISAF Mid-Year Meeting in St Petersburg, the Finn gets its place confirmed at the 2016 Olympic Sailing Compettion in Rio de Janeiro. Ben Ainslie dominates again in Hyeres at the end of April. Ed Wright wins Olympic Garda from Denis Karpak and Vasiliy Zbogar. Masters pre-entries pass 300. Delta-Lloyd Regatta starts May 24, closely followed by Sail for Gold, World Masters and Kiel Week in June. 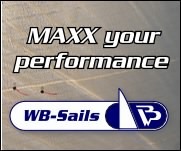 April 2011 - Pre-entry for the World Masters is now at 250 boats from 28 countries. If you haven't entered, then do so here. Ben Ainslie dominated in Palma, winning 7 out of 11 races. Next up is Hyeres with the first race on April 24. Sign up for our press releases if you haven't done so already. All potential participants and coaches can register there. The Notice of race has also been published. There are also 87 entries for Palma , starting 2 April. February 2011 - The International Finn Association Class Rules now includes the lower pumping rule limit of 10 knots for Sailing World Cup and IFA Major Events. This change has been accepted by ISAF and the Finn class rules have been changed accordingly. January 2011 - Giles Scott won the second SWC event with a great performance at the Rolex Miami OCR.